The Osburn Classic Moulded Refractory Brick Panels - For Horizon Wood Fireplace is provided in both white and gray color options and is equipped with the design features to enhance your experience, including fireplace maintenance. The brick panels are removable. 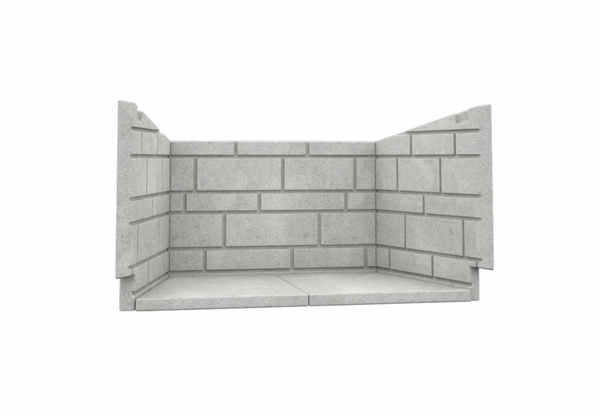 And with a classic hearth, running course brick, pattern, the distinct look is complemented by durable construction. Made with refractory cement and for the Osburn Horizon wood fireplace, this one is sure to please. I have a comfort flame wood burning fireplace it's 36 inches. Would you be able to get panels and how much would that be?